Line a baking sheet with parchment paper or a nonstick Silpat® mat, and set aside. In a medium mixing bowl, stir together the yogurt and sweetener. Working in 2 batches, gently fold in the blueberries to coat in the yogurt. Scoop them up with a fork and tap the excess yogurt off. 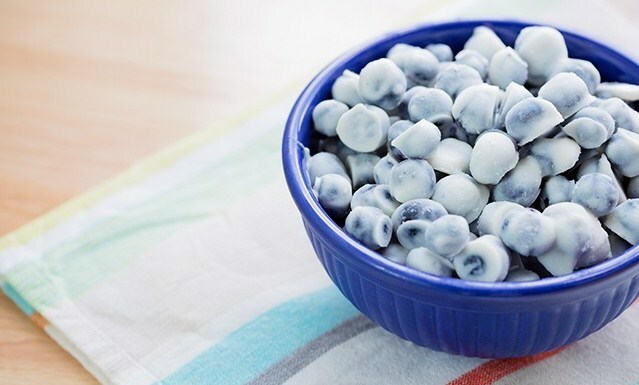 Place the blueberries on the baking sheet, being careful not to have them touch. Freeze the baking sheet until the blueberries are completely frozen, about 1 hour.